Welcome to your dinosaur dig! Build a T-rex and uncover the inner workings of the world's most ferocious dinosaur. Learn about their body, their prey, and their extinction. 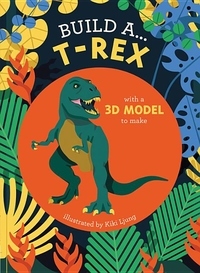 Encourages imaginative play with a step-by-step 3D model to build, and simple facts to learn, ideal for young naturalists.